Fence staining obviously makes your fence look awesome, but it also adds protection for your fence helping preserve the longevity of your investment. Every day, your wood fence gets beat up by damaging sun rays, rot-inducing moisture, and other destructive elements. Applying a wood stain to your new or older fence helps create a protective barrier that keeps your fence looking beautiful for many years to come. 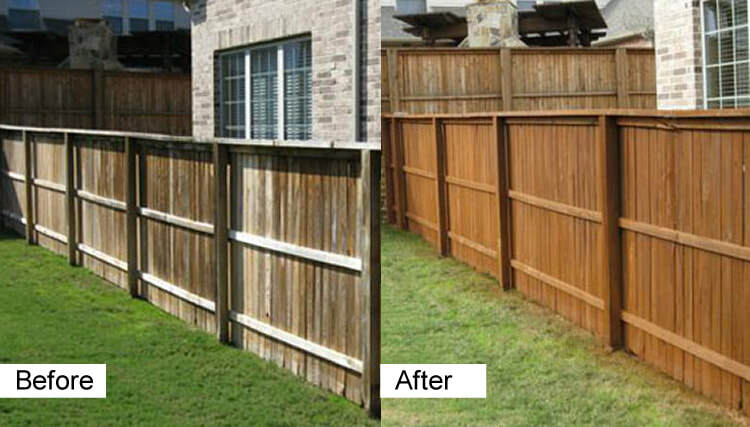 Keep in mind that staining your fence on a regular maintenance schedule also will add value to your home. Fence staining prevents mold buildup and helps shield the wood from harmful UV rays which can shorten the life of the fence. These different types of stains are categorized depending on the level of pigment in the solution. No matter the type of stain you choose for your fence, using the right application method is very important so that the stain and your fence will last as long as possible. ​The question that so many people want to know is how long they should wait to stain their new fence. Well, the truth is every fence is different, so an exact timetable can't be given and one of the main determining factors is dependent on the current weather conditions. I know that is not much help…right? A good guideline to follow is that the wood needs to be dry and able to absorb the stain. There are many factors that will determine the amount of time it takes for a new fresh wood fence to dry out. How much sun does the wood fence receive daily, how much shade is on the fence per day, what is the weather like at this specific time of year, how much has it rained since your fence has been installed, etc? Here is a great suggestion on how to know if it is a good time to stain your new fence. Put a small amount of water on your new wood fence, if it beads up it is not ready, but if the wood absorbs the water it is ready for stain. If your fence has been installed in typically dry seasons of the year then most likely after 60 days it will be safe to stain your fence, but then again there are multiple factors that can change this number. 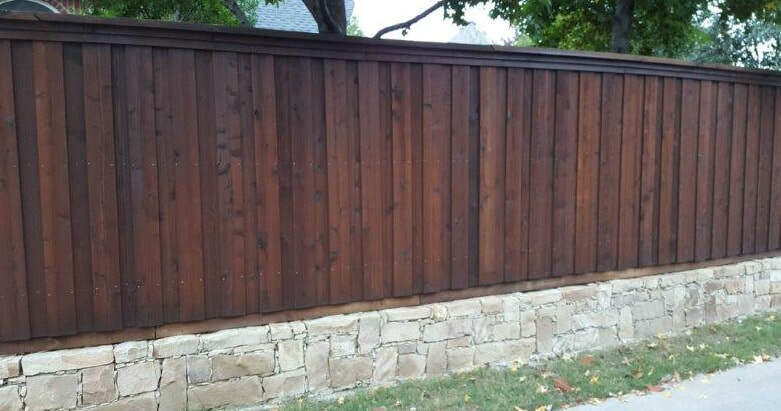 We will be glad to come out and evaluate the fence and let you know when it is best to stain the fence, and we can give you a great estimate for getting this work completed properly and professionally. Yes, you can make a gray, sagging wood fence look new again with just a little bit of TLC. If you are willing and able to make a few simple repairs, thoroughly wash the aging fence with a power washer, and then add a much-needed nourishing coat of oil stain your fence will look almost like it did the day it was built. The best news is, we would love to do this for you. If you happen to have an aging fence, that looks weathered and old, don’t worry—underneath that thin gray coloring, the beautiful glow of your fence still remains. All that is needed is a little bit of manpower and determination to remove the surface layer of aged wood cells to expose a fresh layer of wood. Using a pressure washer, this task is as easy as washing your car. Once we finish with the much-needed cleaning of your fence, we then apply an exterior wood oil stain to preserve this new layer of wood. This will not only make your fence look amazing and new again, but it will also prolong the life of your fence and protect your investment.